Waterfalls are just the beginning. It&apos;s a wonderful world-full of awesome adventures! Start big at Niagara Falls State Park, rated in America&apos;s Top 10 Most Beautiful Spots by the Today Show. 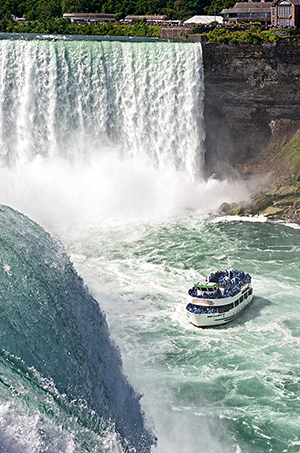 Sail up to Horseshoe Falls on the Maid of the Mist, walk the wild Cave of the Winds tour, ride to the Observation Tower, and dine with spectacular views at Top of the Falls restaurant. Nearby, Lewiston&apos;s Whirlpool Jet Boat Tour is one of North America&apos;s Top 5 Adventure Rides! 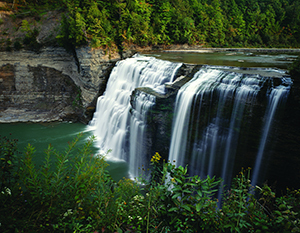 Along the 17-mile-long gorge at Letchworth State Park, called the Grand Canyon of the East, breathtaking trails weave around waterfalls and 600-foot cliffs. Darien Lake Theme Park features thrilling coasters and waterslides. Two Great Lakes, Erie and Ontario, boast world-class trophy fishing and boating. Above Lake Ontario, Old Fort Niagara brings 300 years of history to life with colorful pageantry and scenes of frontier life. Lockport Locks & Erie Canal Cruises showcase America&apos;s historic waterway, celebrated in July at the Canal Fest of the Tonawandas. East Aurora&apos;s Roycroft Campus preserves the early 1900s Arts & Crafts tradition. Other heritage sites include Murphy Orchards and Castellani Museum highlighting Underground Railroad history. Burchfield Penney Art Center, and the Albright-Knox Art Gallery. 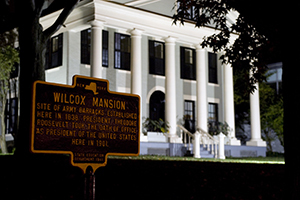 Tour the Buffalo and Erie County Naval & Military Park on Lake Erie, and historic Wilcox mansion, now the Theodore Roosevelt Inaugural Site. Stroll along Canalside&apos;s vibrant waterfront. Plant yourself in the Botanical Garden&apos;s glass conservatory and the National Garden Festival&apos;s 1,000 gardens!